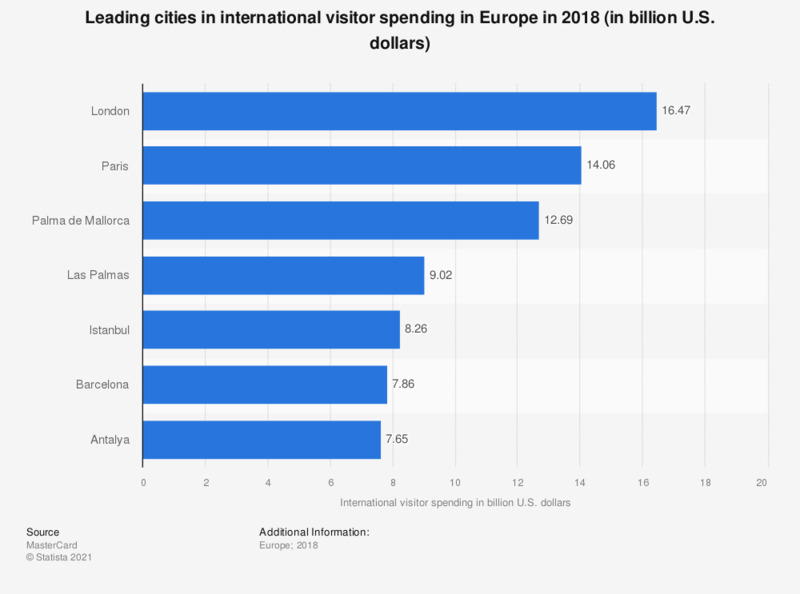 This statistic shows the leading cities in international visitor spending in Europe in 2016. London was the European city with the largest international visitor spending in 2016 with 16.09 billion U.S. dollars. In 2016, London also ranked as the third leading city in terms of international visitor spending in the world.